We’re sort of between seasons in Berkeley right now. (Unlike in Boston, where winter came early!) 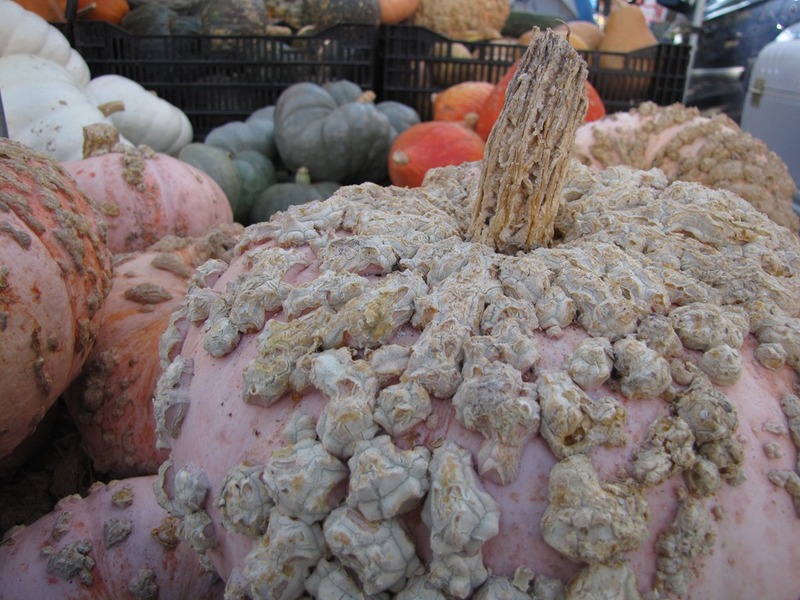 There were warty pumpkins at the market. 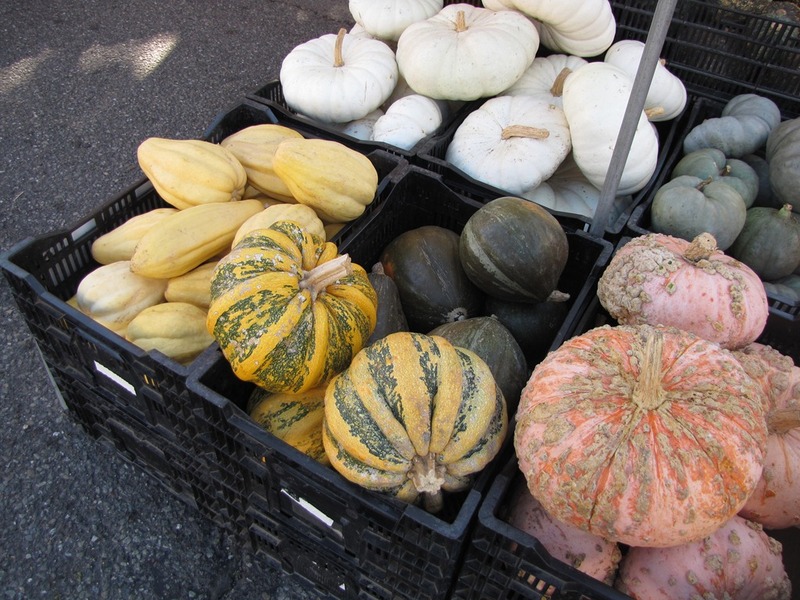 And all kinds of squash. But there are still tables full of tomatoes at the market, even though our backyard tomato plants have given up for the season. Beautiful heirloom tomatoes in all shades. 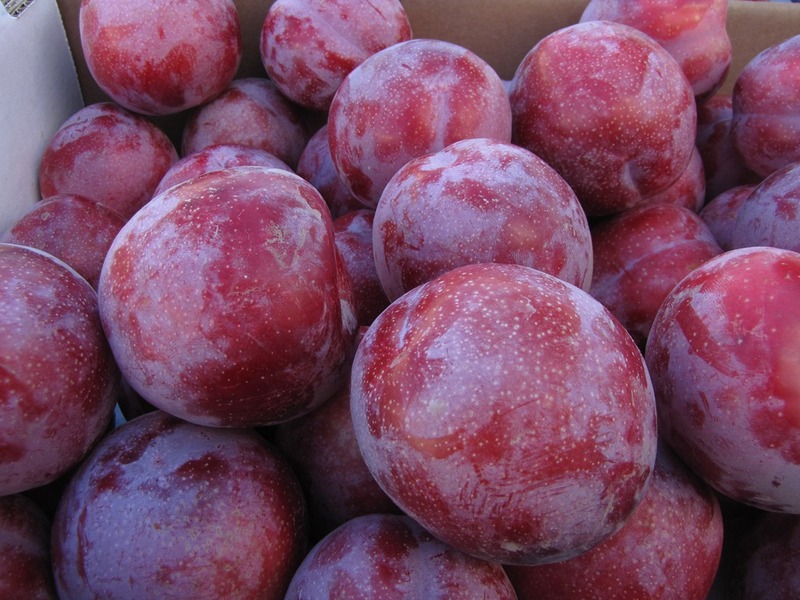 Many varieties of plums were available. 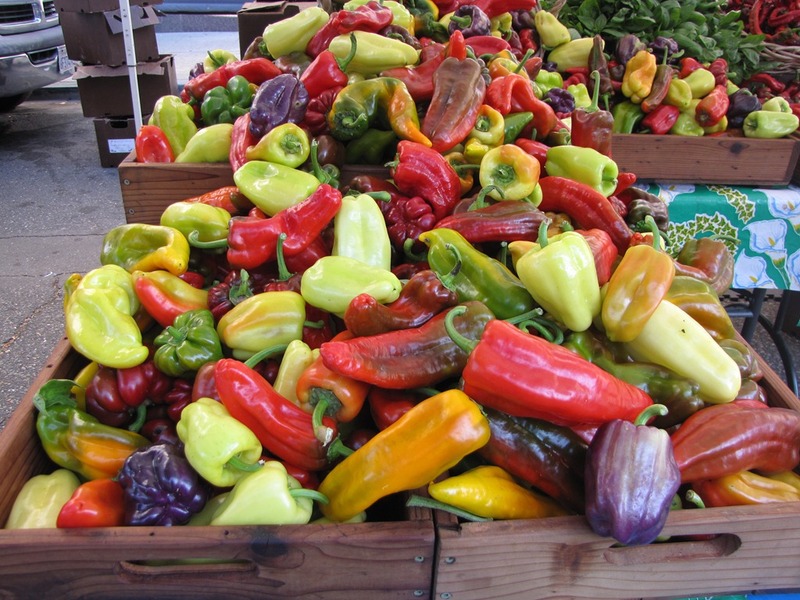 and cartons full of colorful peppers. I picked up plums and pears, some fresh rosemary bread, a dozen eggs, and a little bag of chanterelle mushrooms. I also grabbed this delicious tart for breakfast. It was roasted butternut squash, topped with goat cheese, and I carefully ferried it home by bike so I could have it heated up. 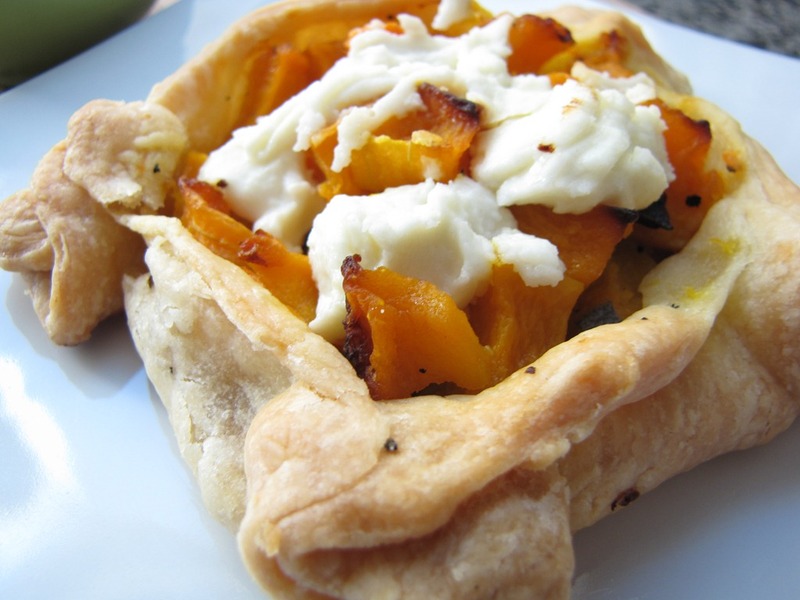 The melted goat cheese with the sweet roasted squash and flaky pastry was absolutely delicious. I may have to face my fear of pie crust in order to recreate this in my own kitchen! 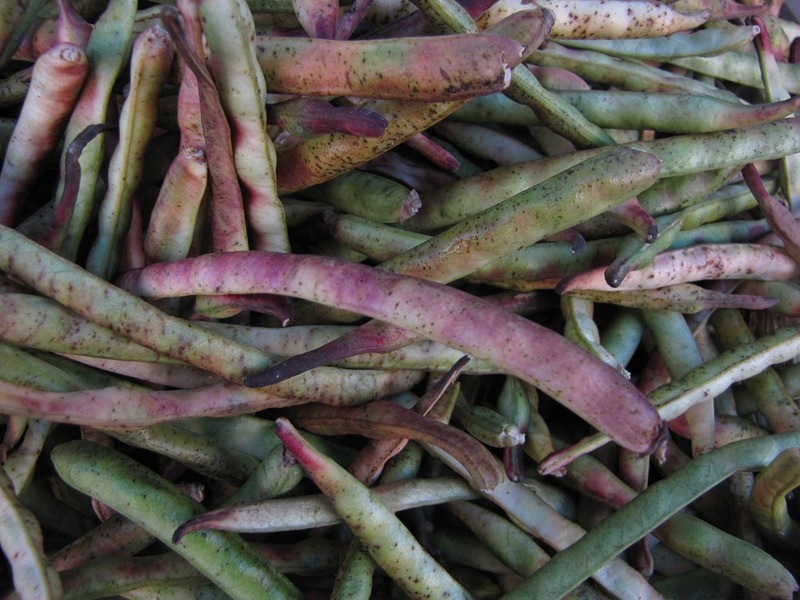 What’s your favorite market treat? 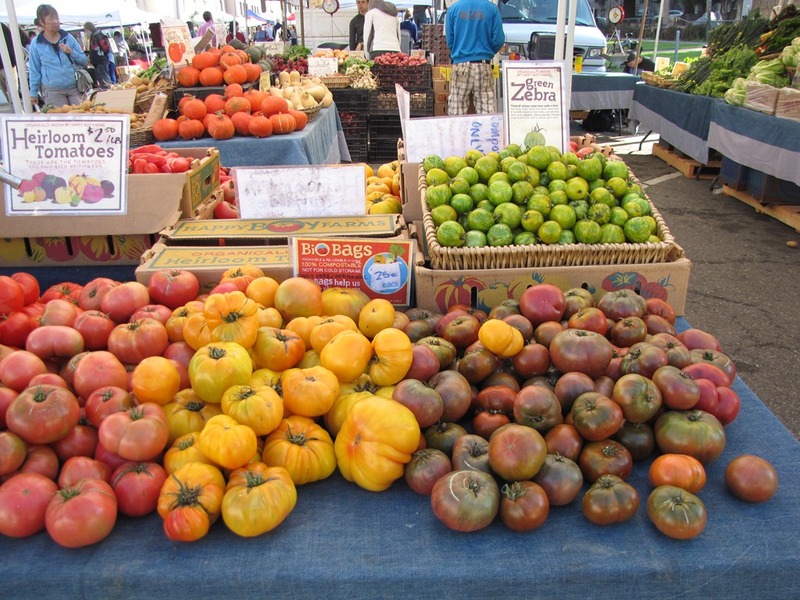 This entry was posted in Uncategorized and tagged Berkeley, Farmers' Market, vegetables. Bookmark the permalink. I need to go with you next time! WOW. 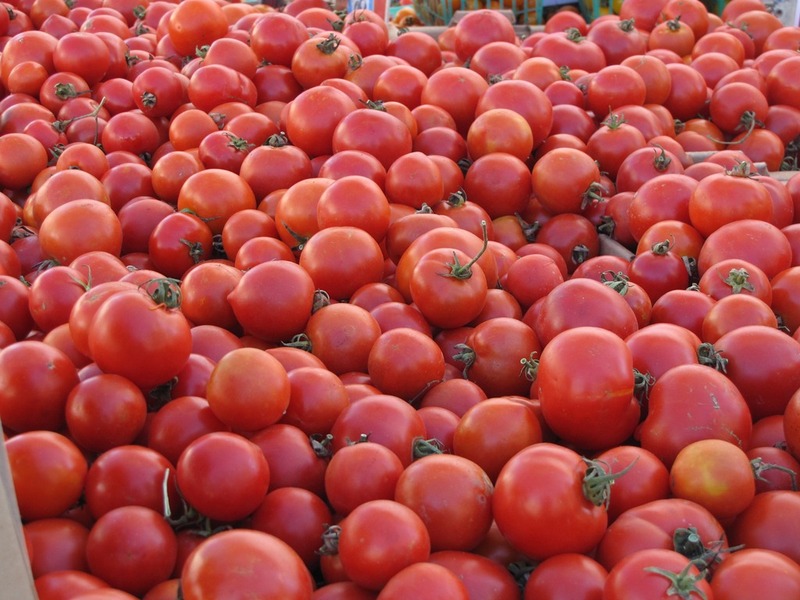 I couldn’t believe there were still so many tomatoes at the market! Our tomato plants gave up on us more than a month ago, but apparently for some farmers they are still going strong!